BIOCLENZ quickly and safely dissolves grease, dirt, foodstuffs, scrum and stains from all hard surfaces. BIOCLENZ contains a powerful broad spectrum biocide which rapidly eliminates a wide variety of micro-organisms including bacteria, moulds, fungi and yeast. BIOCLENZ has a deodorisng action, which instantly removes unpleasant odours absorbed into surfaces such as plastics and laminates. BIOCLENZ is odourless in use, does not taint foodstuffs and can therefore be used in food preparation areas such as microwaves, ovens, freezers, refrigerators, kitchen surfaces and other sensitive areas. 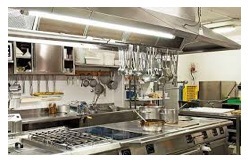 BIOCLENZ is free from harmful solvents and safe to use in kitchens, bathrooms, care homes and other public areas.